Fill in your details below and we will let you know within 24 hours if we can get Cottage Garden to you with haste! You will use a variety of plants - as well as flowerpots and garden items - to design a Cottage Garden that blooms with diversity. 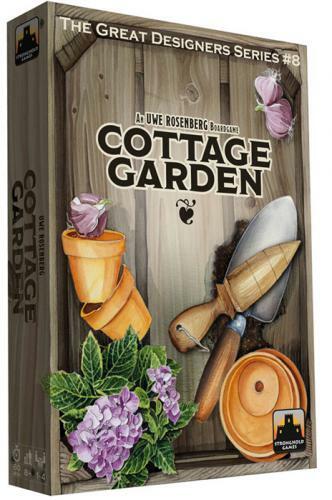 Players compete to create the best Cottage Garden, working two beds simultaneously, visiting the central market to gather their supplies. Once a bed is completed, it is scored and then replaced with a fresh bed. After a fifth lap through the market, the player with the most points in completed Cottage Gardens wins! This game by Uwe Rosenberg is the #8 game in Stronghold Games' The Great Designers Series.